In the wake of the February 14 shooting at Marjory Stoneman Douglas High School in Parkland, Florida, President Donald Trump has expressed support for arming highly trained teachers as a potential solution to the gun violence epidemic in our country. This statement came out of today's White House listening session in which students and teachers affected by the recent shooting could express their thoughts and concerns, reports CNN. Aside from the glaringly obvious logistical, safety, and moral issues inherent in this proposal, we'd argue that this is merely a knee-jerk reaction to the latest tragedy rather than a well-thought-out solution to address the underlying problem. For a Michigan-based certified education specialist and school psychologist who asked to remain anonymous, that solution starts with improving students' access to mental health programs in schools. "In my current building, we have one school psychologist for 1500 students," she told MyDomaine. "And I'm above the national average—the average public school has one for every 4000 to 5000 kids. School counselors and social workers are in the same position, and teachers are not trained to handle mental health issues." Public schools are required to have a "multi-tiered system of supports" designed to address student mental, academic, and social health issues: Tier one focuses on schoolwide prevention, two focuses on providing targeted interventions to students who are at risk for behavioral or academic problems, and three is special education. But, as she points out, "we are all told to have a system in place, so politically, it sounds good and looks great on paper. But we are not provided with the appropriate funding for the staff or resources to run the system with fidelity." Tiers one and two are most affected by this lack of funding. "Schools lack universal screeners to understand school climate, which often results in kids falling through the cracks," she explains. As for tier two, she says, "Teachers and mental health providers aren't able to monitor students' progress with fidelity, which often results in kids being passed straight to special education." Many mental health professionals working in schools believe that there's an egregious lack of time and resources at their disposal. "School psychologists are on a mandated timeline to complete special education evaluations, and school districts primarily use us just for testing and don't give us the time to actually help kids," she says. This ubiquitous scarcity results in a system that's ill prepared to actually prevent a school shooting from happening in the first place. The funding and resources used to train and arm teachers and other staff members with guns could be better allocated to strengthening the meager infrastructure of our mental health programs currently in place at public schools. "We shouldn't be focusing on how to react to the next school shooter; rather, we should focus on what we can do to prevent students from getting to this point," she adds. "We need an investment in school mental health supports to promote positive school climates, provide early intervention services, and collaborate with the community to make sure students' needs are being met." The National Association of School Psychologists seconds her call to action. "In circumstances like the Florida tragedy, we need to continue to take steps to interrupt an individual's pathway toward violence," reads its official statement. "Our nation must engage in a serious discussion about how we can improve our efforts to provide for the mental health needs of our children and youth, not just to prevent horrific acts of violence, but to support their well-being, academic achievement, and success in life." For more information, she deferred to the National Association of School Psychologist's official statement on the Parkland, Florida, school shooting. 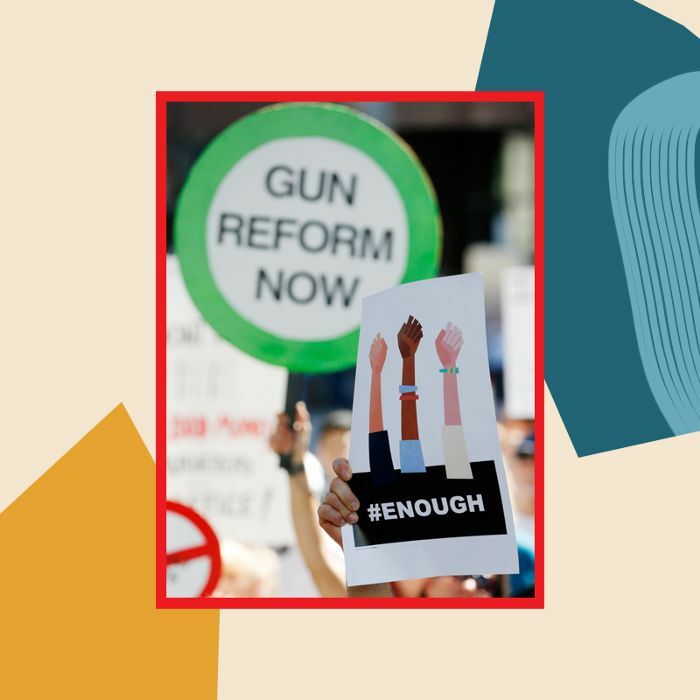 293 Colleges Are Supporting Gun Control Activism—Is Yours on The List? What Can We Learn From 3 Countries That Put an End to Mass Shootings? 73% of People Can't Answer This Simple Money Question—Can You?